Kidney stones natural remedy combines lemon juice and olive oil. Mineral formations are to blame for kidney stones, which are described as one of the most painful experiences one can go through. Kidney stone relief is highly necessary, as the pain can be debilitating and overwhelming. If small enough, a kidney stone can very well pass through urination, but if it’s too large then medical intervention must take place. Although surgery may help remove the kidney stone, it does increase the risk of future occurrences. Kidney stone prevention is fairly easy – you should plenty of fluids and stay well hydrated. Eating a diet high in vitamins can also help prevent kidney stone formation. An effective way to eliminate kidney stones has been found, and it involves consuming lemon water and olive oil. Lemon juice has been found to break down the stones, while olive oil provides lubrication for the stones to pass. Lemon juice and lemonade have gained quite a bit of popularity recently, but not for the right reasons it seems. The lemon juice we are referring to comes from the bright yellow fruit, which can offer you many health benefits – unlike the other lemonade variety. Lemon juice has been found to boost kidney health and can offer some protection against kidney stones. This is because lemon juice has a high content of citric acid, which can help prevent the development of calcium oxalate stones. Additionally, lemon juice has been found to lower urine acidity, which can reduce kidney stone recurrence. For your kidneys to benefit from the lemon juice, you only need two to four ounces a day. But it’s imperative that you stick with the organic or homemade variety, as the purchased ones contain high amounts of sugar and are often stripped of their enzymes and nutrients that offer benefits. When lemon juice is combined with olive oil, it can work to eliminate kidney stones. Lemon juice works to break down the stones, while olive oil provides lubrication along the tubes to ease out the release of the stones. As mentioned, consuming lemon juice regularly can help reduce the risk of future kidney stone development. 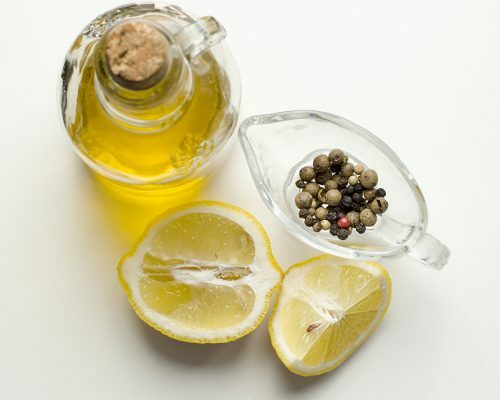 To make the health tonic, mix two ounces of freshly squeezed lemon juice with two ounces of olive oil. After your drink the mixture, ensure you drink plenty of water. If you don’t like the taste of the combination, you can add in some natural honey. This tonic should be consumed at least three times a day to promote the removal of the stone. It can take anywhere between one to three days for the stone to pass from drinking this beverage.